From the creators of the Sonicare® toothbrush comes the Clarisonic® Mia Limited Edition Skin Cleansing System, featuring the handy to-go sized version of the original, groundbreaking Clarisonic Brush. Sonic technology first changed the way we clean our teeth, now it’s changing how we cleanse our skin. 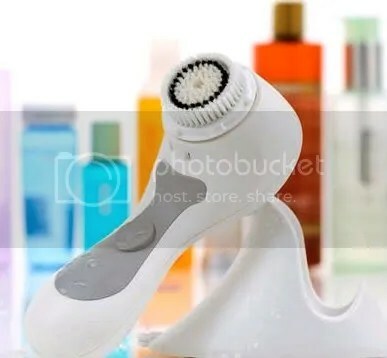 The sonic frequency moves Clarisonic’s soft, gentle brush back and forth at more than 300 times per second, thoroughly clearing pores and skin surface. 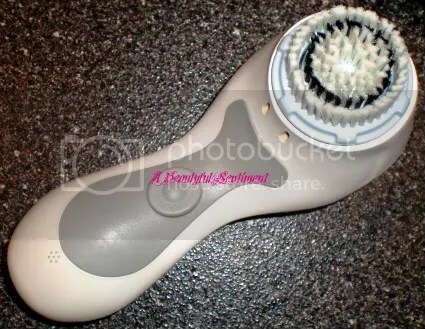 While I love my Clarisonic, I’ve always wished that it was just a little bit more portable. The brush head itself is pretty decent travel with and it does hold a charge for a good amount of time, but for long trips I’ve found myself needing the charging base and that’s just more cumbersome than I’d like. Which is why I’m so excited to see that Clarisonic has decided to bring us this travel-sized Clarisonic (which is available in pink, yay! and white for those of you who aren’t into pink). Another thing I’m liking about this is that if you don’t already own a Clarisonic, this may be a more affordable alternative – I don’t know about you, but $50 seems like a pretty decent price differential to me! All in all I’m pretty tempted to give it a shot, although I don’t see this fitting into my budget anytime soon. What do you think? Do you plan to give the Clarisonic Mia a shot? Been Looking For An Affordable Clarisonic Alternative? I absolutely love my Clarisonic Skincare Brush, but I know that at $195 it’s not for everybody–but for $50 how can you go wrong? Based on the reviews Pretika sounds to be up to par with the Clarisonic, so if you’ve been dying to try the Clarisonic but just couldn’t stomach the price, definitely check this out (and come back and tell us all about it of course)! 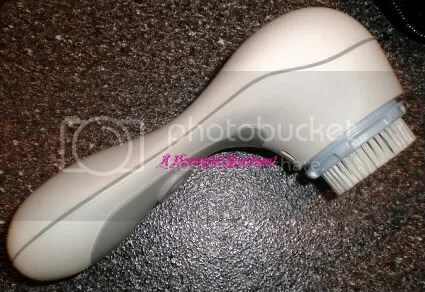 I purchased my Clarisonic Skincare Brush pretty much right around when it was first released way back when, and to be honest I didn’t love it so much at the time. I don’t know if it was simply that I was too lazy to use it, or that the brush heads that I was using didn’t work for me, but whatever the reason I used it on and off for a few weeks and then it just sat there for well over a year, unloved and essentially forgotten. In the meantime I kept purchasing the various Clarisonic brush heads (they need to be replaced every three months or so with regular use, and run $25) as they were released-first the normal, then the sensitive, and finally the delicate. A few weeks ago I got this urge to pick my Clarisonic up again, and it’s been love ever since! The brush claims to give your skin a deep clean (it oscillates more than 300 times a second), to clarify, reduce the appearance of lines/wrinkles and pores, amongst a multitude of other things, and it really does deliver! I’m not saying you’re miraculously going to have smooth poreless skin (if only), but with everyday use you will notice that your pores have a tighter more toned appearance, and you skin will be as soft as a baby’s bottom. My brush head of choice is the delicate (pictured above). I tend to toggle between the high and low power settings, because on low I always feel that I don’t get a deep enough clean, whereas on high my skin can become a little irritated, even using the delicate brush head! The cons? It’s rather bulky/heavy and so a bit cumbersome to use, but that may have something to do with the fact that the brush is entirely waterproof and so safe for shower use, which is definitely a plus! And of course the price is a major deterrent! Would I recommend this product? Absolutely if you have an extra $200 or so lying around! Since I’ve started using this on a daily basis my skin has never looked better-my pores look tighter, my complexion is brighter and clearer, and my skin really is so ridiculously soft. And there’s also a marked difference in terms of how the rest of my products absorb into my skin after using this.